Mountain Beauties was thrilled to see one of our gorgeous brides from this past summer grace the pages of the latest issue of Confetti Magazine. Of course, the incredible images by Orange Girl Photography and our bride's amazing style made everything about this wedding remarkable. 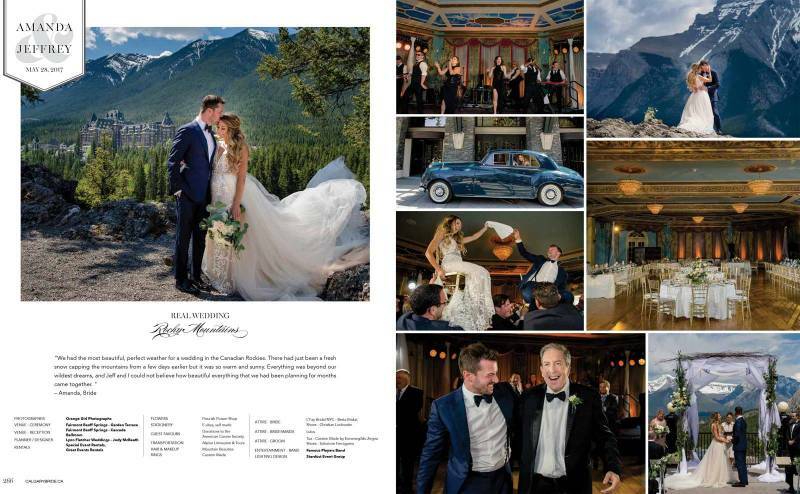 As the Banff hairstylist and make-up artist, this wedding was a treat and we hope you pick-up the latest issue of the magazine or head over to our blog post where you can see all of the details regarding the hair and makeup. If you're looking for a Banff make-up artist or hairstylist, be sure to get in touch today.